Really delicious but I expect it would be even better if I marinated it over night as per recipe. I only marinated for 30 minutes and used the grilling element for the last 10 minutes to crisp up crackling. I served it with rice and a spinach sesame and cucumber salad out of the same book. Very pleased with the meal. I agree with KarinaFrancis, this was easy and tasty! We thought these noodles were ok, but not outstanding. They seemed a little bland & the sauce was quite ‘gluggy’. Sounds gross, but the end result wasn't too fishy or too salty... instead, this produced the most tender roast chicken I've ever had! This is another go to roast chicken recipe which I highly recommend as it produces a moist and tasty result. It is very easy and quick for a roast chicken as you take out the backbone. This is now on regular rotation at our house. Nice but, despite all the ingredients, didn’t have the big hit of flavour that I was expecting. This was so easy and delicious. A great week night meal but marinate it the night before for maximum flavour. Delicious, tasted very authentic.....not the neon red goop they call sweet & sour in some Chinese restaurants! Incredibly good, and easy....although I did remove the chicken while the pineapple was caramelising (which did take a while, as I suspected) so that it didn't overcook. This was enjoyed by the whole family. I added a teaspoon of chilli paste towards the end as I felt that it needed that extra kick. The fresh herbs, lime and onion really are essential. I served it with rice and skipped the bread, definitely worth repeating. Delicious hot wings. For my taste I increased the amount of chilli sauce, but it entirely depends on your own preference. 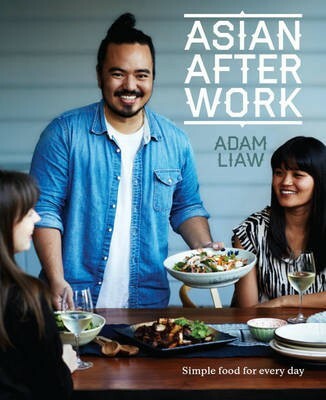 If you love Asian food, let ASIAN AFTER WORK be your guide to the delicious and exciting world of Asian home cooking. Fast, fresh and easy Asian food.